Product prices and availability are accurate as of 2019-04-22 22:33:31 UTC and are subject to change. Any price and availability information displayed on http://www.amazon.com/ at the time of purchase will apply to the purchase of this product. 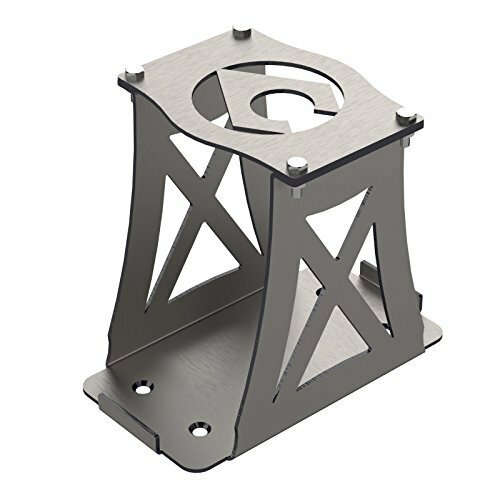 Our 51 series Optima Battery mount will deliver the best quality and most durability for your application. Features include: One piece design, carefully engineered for lighter weight and added strength. Battery fits snug, eliminating movement that causes premature wear and shorter life. "Window" to easily view battery specs. CNC Cut from 10GA. (.130) Cold Roll steel plate Includes self-clinching (PEM) nuts pressed onto the mount Finish: Bare Steel Six 1/4" bolts w/ nylock nuts included for securing battery Mounting: 4 - 1/4" countersunk holes in bottom or direct weld **Lifetime No-Hassle replacement! 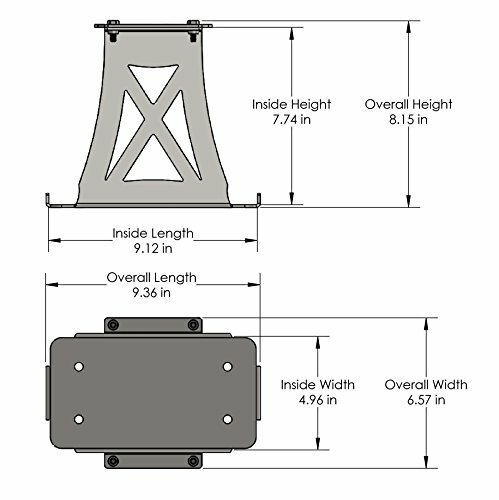 Outside dimensions of mount: D 6 1/2" x W 9 3/8" x H 8 1/2" (Height does not include terminal posts on battery). Weight: 5lbs. 4oz. (Steel) Don't mess around with a mount that doesn't come close to the quality, and durability of our 51 series Optima Battery mount! Available in many other configurations including "flat back" for those tight installs, it's no wonder we have never had an unsatisfied customer. Order TODAY and enjoy years of rock solid performance for your investment. **Mount must be installed correctly, and used for it's intended purpose for warranty to be honored, original purchaser only. 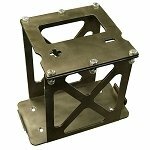 Also, check out the hardware for mounting your new X Series Optima Battery Mount!